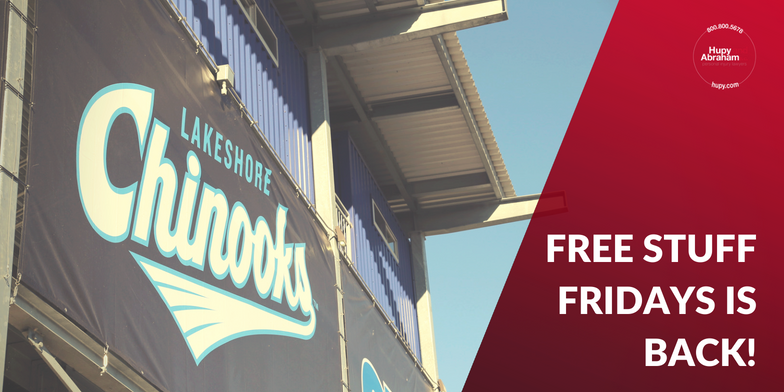 Free Stuff Fridays – Back By Popular Demand | Hupy and Abraham, S.C.
After all the excitement of last season, Hupy and Abraham is once again teaming up with the Lakeshore Chinooks to give away prizes throughout the 2018 season. All summer long, the Hupy and Abraham Street Team will be on-site at each Friday home game raffling off prizes. Fans are welcome to stop by the Hupy and Abraham tent and enter their names! Prizes will vary throughout the summer, and will include Milwaukee Brewers T-shirts, cooler bags, Milwaukee Public Museum passes, Milwaukee County Zoo passes, festival tickets and more. Winners will be randomly drawn and announced over the PA. Upon hearing their name, the winners will circle back to the Hupy and Abraham booth to claim their prizes. The Lakeshore Chinooks are one of 20 teams in the Northwoods League, a wooden-bat league featuring top collegiate players from the top programs around the country. The Northwoods League provides student-athletes with additional opportunities to play during the summer while retaining their collegiate eligibility. Hupy and Abraham is proud to have sponsored the Lakeshore Chinooks for the past several years. The team plays home games at Kapco Park, a lakeside venue located on the campus of Concordia University Wisconsin. Come out and enjoy some warm weather, family fun and great baseball this summer! And be sure to stop by the Hupy and Abraham tent for your chance to win great prizes.